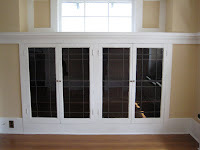 When we bought this house, many of the leaded glass panels in the cabinet doors were broken. 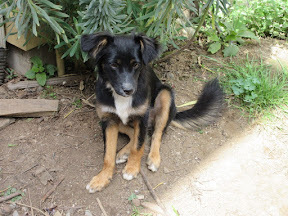 (It's hard to get photos; believe us there are several chunks missing.) When we remove the doors to have them dipped, we'll also need to remove the glass. 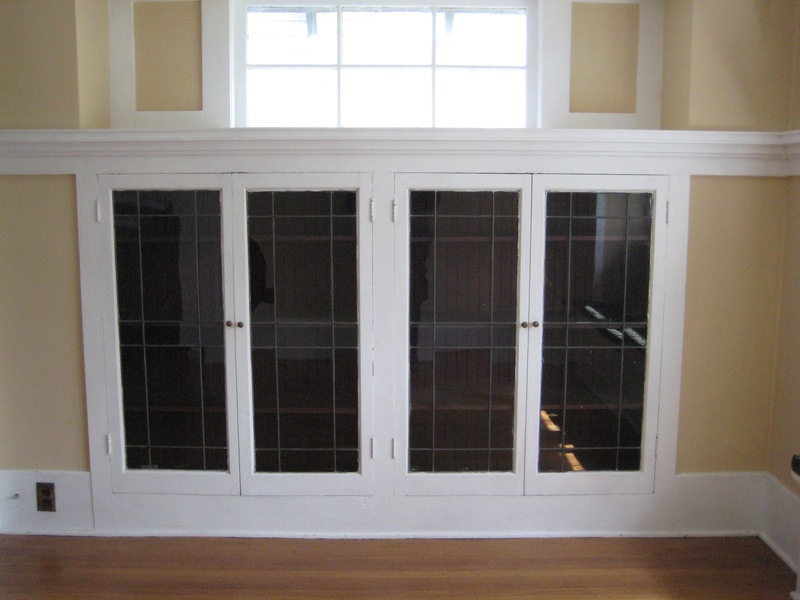 One option is to repair the glass by disassembling the panels and put in new glass and put them back together and replace them in the door. But, the glass panels are really boring, basic grid panels and we think we'd like to jazz them up a bit with new glass panels. 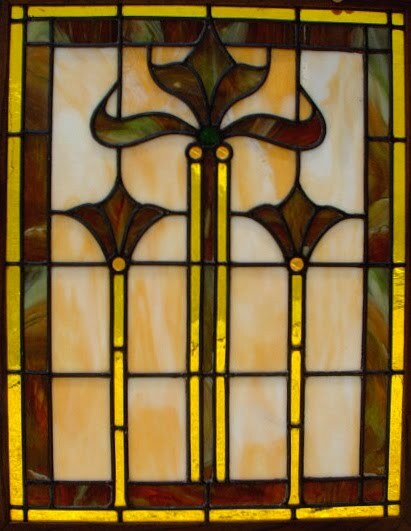 So, one of our DIYer projects during this remodel is to make replacement stained glass panels for the living room and dining room and two new panels for a couple cabinet doors in the kitchen. 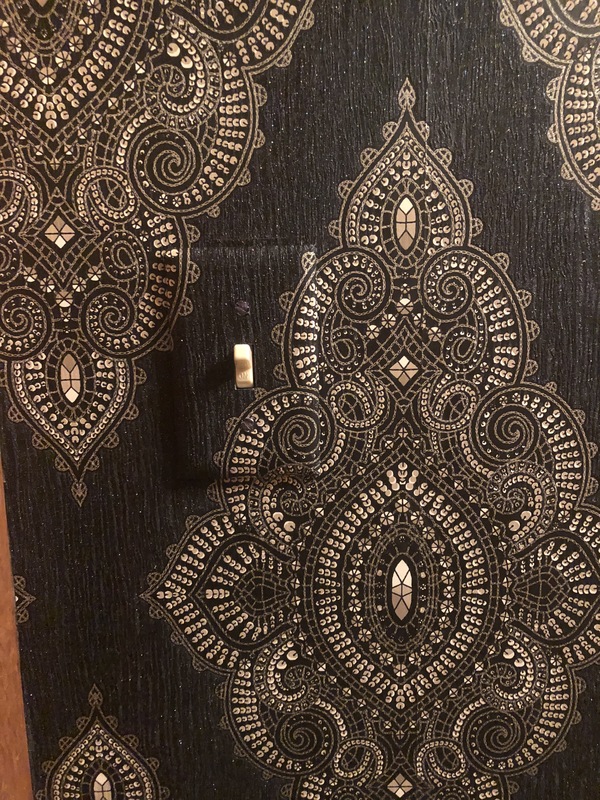 Sharon likes this photo of a stained glass panel she found online at a salvage business and she's currently planning to adapt this pattern into these different sized panels. Though, we're planning to use clear, wavy glass for the background so we can still see through to the contents of the cabinets, it will depend on what glass we're able to find. 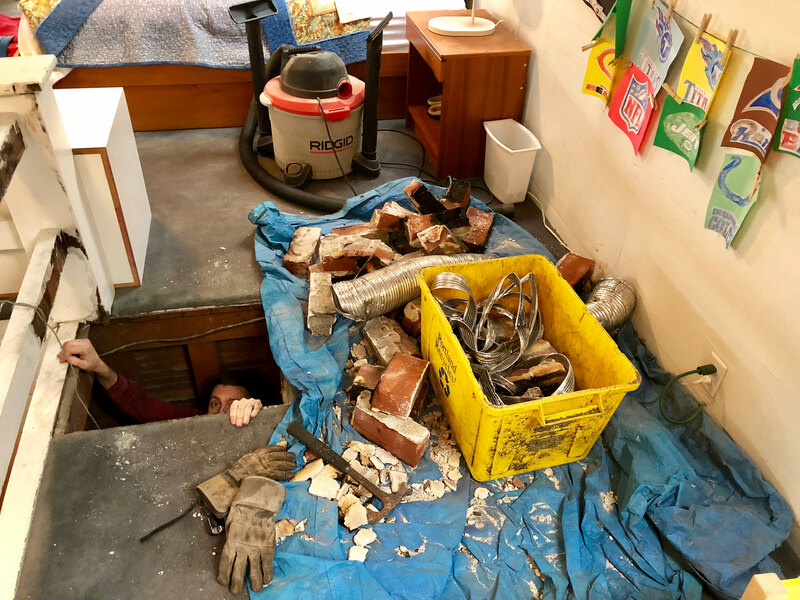 We've already blown the budget on the remodel, so we have a more limited budget for this project. 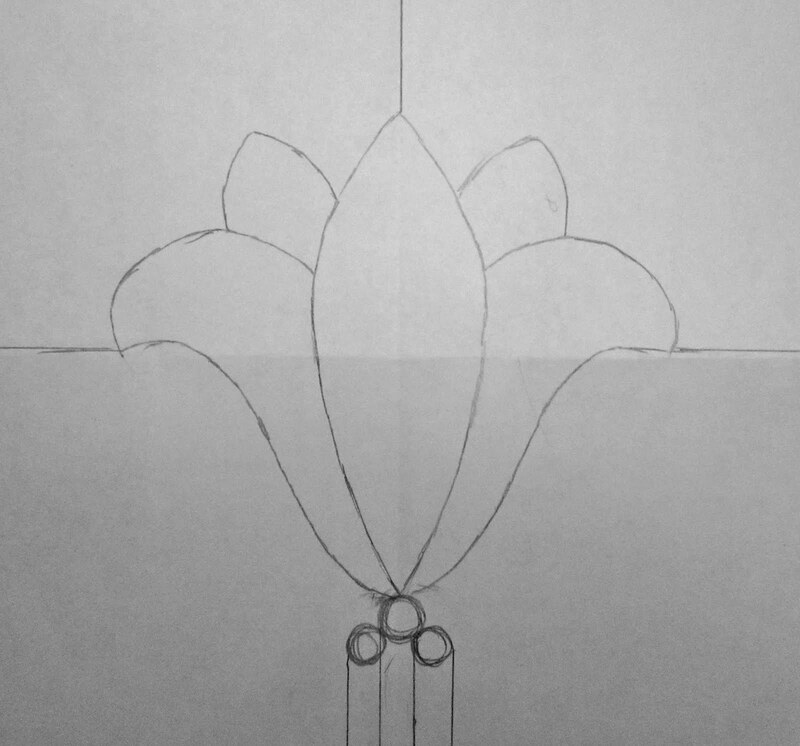 Basically, Sharon's plan is to substitute the upper flower in the stained glass design with a flower similar to the stencil flower, sort of like this sketch she did this morning. 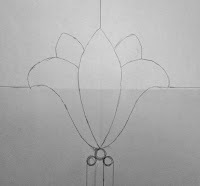 She'll also adapt the side flowers by making the center petal a bit more rounded, and more like the new middle flower. Sharon was pretty excited to discover that two of the big art glass manufacturers are located in Portland! That's beautiful, someday I'm going to learn how to do stained glass but it's going to have to wait until I have more time and space.